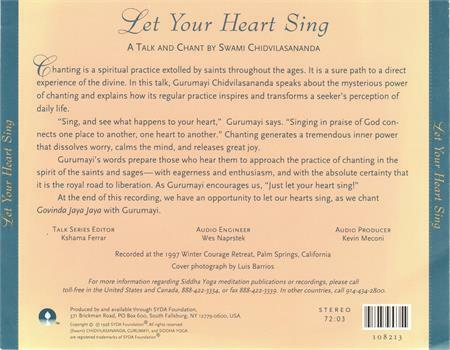 In this talk, Gurumayi teaches about the mysterious practice of chanting - a path to the direct experience of the divine. 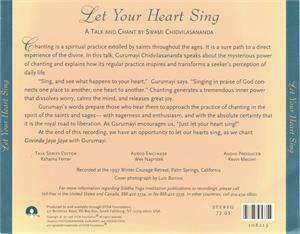 "Sing and see what happens to your heart", Gurumayi says. "Singing in praise of God connects one place to another, one heart to another". At the end of the recording there is an opportunity to put these teachings into practice by chanting Govinda Jaya Jaya with Gurumayi. 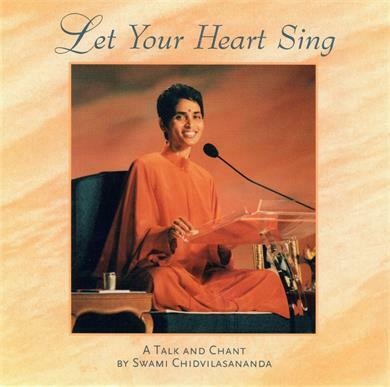 Recorded during the 1997 Siddha Yoga winter retreat in Palm Springs, California. The talk is 33.57 minutes long and the chant 38.08 minutes.